I am trying to automate the Registration and Login process of Myntra.com using selenium. I already registered once using selenium. 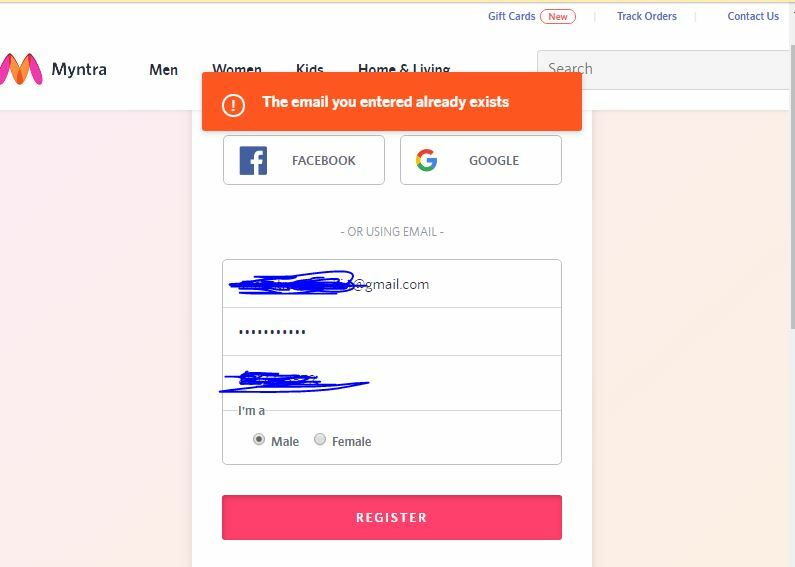 But the problem is when i am trying to register once more using the same userId and password, a popup is generating saying “email-id already exist“. I want to handle this popup .That if this particular text is present then i’ll go to login page. But i’m unable to handle that popup.